During the 2018 Association of the U.S. Army Annual Meeting and Exposition, a town hall with Army Secretary Mark T. Esper, Army Chief of Staff Gen. Mark A. Milley and Sgt. Maj. of the Army Daniel A. Dailey was held for Army family members and soldiers. Among the many issues brought up were challenges with military privatized housing, which included chipping lead paint and mold. Lauren Hope, an Army spouse living in privatized housing, shared her personal story along with health issues she suspected were a result of mold spore exposure. The three senior leaders reported that the Army had already started testing pre-1978 Army homes, of which there are about 36,000, for lead paint, asbestos and lead in the water. That was in October. On Dec. 27, an article titled “Special Report: As their landlord profits, soldiers battle unsafe Army homes,” published by Reuters, sent the Military Privatized Housing Initiative into a tailspin (https://reut.rs/2Eb3WrN). Families on various military installations shared stories of pervasive mold, peeling lead paint, and vermin and bug infestations. Many family members reported health issues that they attributed to the unsafe environment in which they live. Unfortunately, according to residents, the response from housing management offices to complaints was a tepid effort to repair the problem. Mold was identified as “dirt,” lead paint had been painted over for so many years that windows could no longer be opened, and vermin and bugs were deemed a “part of the geography” with few options to rid the home of the unwanted inhabitants. Admittedly, not all privatized housing is in disrepair, but the voices of hundreds of military families could not be ignored. On Feb. 13, the Senate Armed Services Committee held a joint hearing of the subcommittees on personnel and readiness and management. Affected family members, the heads of five privatized housing companies, and senior Department of Defense leaders were asked to testify. To their credit, Army senior leaders, upon learning of the extent and severity of the housing issues, acted quickly. Esper and Milley immediately set a process in motion where all 87,000 quarters and barracks on 49 installations around the world would, with approval from the resident, be visited by Army leadership no later than March 18. Primary on the list of questions to ask tenants: Do soldiers and family members feel comfortable where they live? Are there any issues not yet reported? Have work orders been created, and what’s their status? Priority for remediation would go toward life, health and safety issues. In addition, Army leadership has required all Army installations to host a series of town hall meetings with installation and garrison commanders specifically on housing problems. 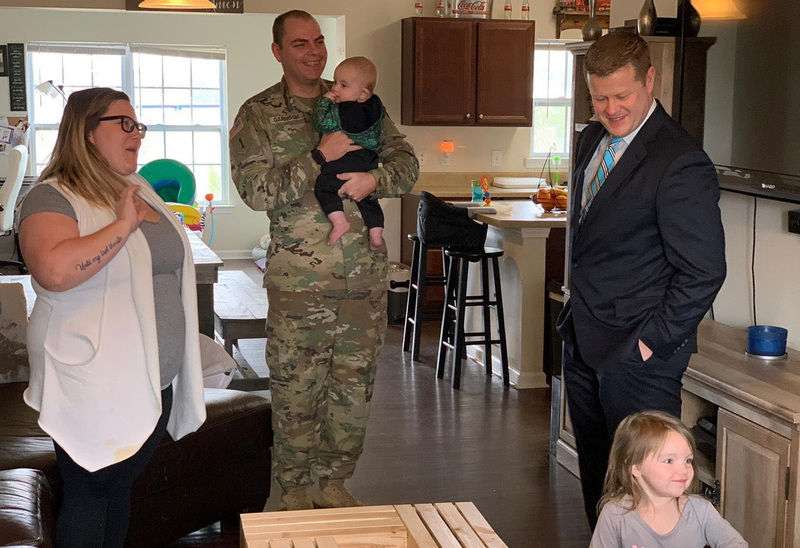 There is still much to do, but AUSA is heartened by the Army’s response and the soon-to-be released Tenant Bill of Rights that will provide military housing residents with additional options when it comes to inadequate housing issues. Your association will monitor the situation and continue to provide a platform for Army families to share their concerns with senior leaders. Army leadership understands fully that when it comes to the health and safety of Army families, there can be no substitute for strong oversight. In a statement during a Senate Armed Services Committee hearing on March 7, Esper said, “Providing a safe, quality living environment for our soldiers and their families is critical to the readiness of the force. This is essential to building trust so when soldiers deploy, they can rest assured their families are taken care of back home. Patty Barron is AUSA’s Family Readiness Director.